Crockpot Chicken Recipes. Simply the Best. 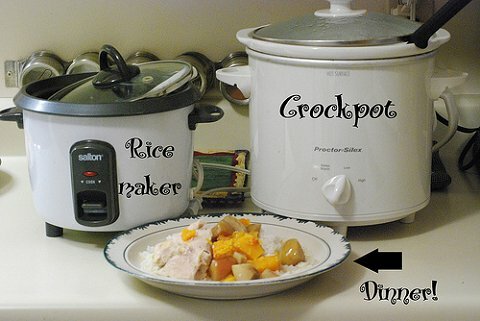 Crockpot chicken recipes. This is one of the best we have every baked and the proof is in the family’s request that we bake it again many times. One thing we should warn you about. This recipe calls for the chicken to marinade for from six to eight hours. You may consider getting it ready the night before and keeping it refrigerated over night. But what a wonderful recipe for the camper who is fortunate to own a well equipped motor home or travel trailer. Wake in the morning with the birds singing their songs in the morning. Pop on the crock pot and enjoy the day while your roast chicken meal cooks to perfection. Fantastic. 5 or 6 skinless and boneless chicken breasts to choice. Combine the marinade ingredients in a large bowl or a ziplock bag. Shake or mix well. Add the chicken and close the bag or cover the dish and store in the refrigerator for eight hours. Lay out the marinated chicken and add the marinade into the crock pot. Sauté the mushrooms in the margarine and add to the chicken before you cook on low heat for five to six hours. About an hour or so before the chicken is done add in the orange sections, garlic and pepper and stir well. When the chicken is done mix the cornstarch, water and milk and stir this mix into the cooker and after fifteen your juices should be thickened and your expectant diners are ready to have a go at one of the best crockpot chicken recipes you will ever serve. 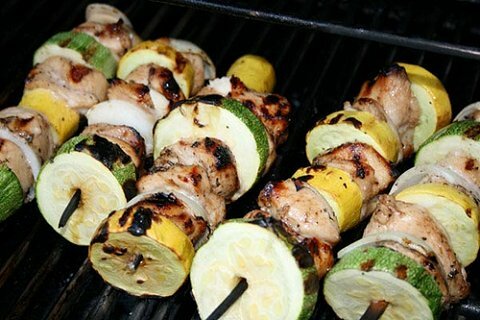 Here is a Grilled Chicken Recipe you may want to try. It’s quick and tangy. These chicken breasts are grilled in the marinade of lime or lemon juice, chili powder and garlic. Pound the chicken breasts until they are one quarter inch thick. Cut into strips about one inch wide. Place the strips into a glass baking dish. Combine the rest of the ingredients and pour over the chicken and cover and chill the marinade for three hours in the refrigerator. With the grill on medium high place the skewers on it, grill for 6 to 8 minutes turning them over a few times and basting with the marinade. These can be served with the addition of a little salsa as well. The grilled chicken recipe and the crockpot chicken recipes are very tasty when cooked in the great outdoors at the campground or at home with friends or family. Despite the fact that Irma likes to cook, we sometimes go out to Churchs fried chicken and once in awhile we try to duplicate the recipe for Kentucky fried chicken. Both are great recipes by the way. We tried chicken marbella a couple of times but coconut chicken is better than most. Irma makes a wonderful chicken and broccoli casserole. During the summer we get out the book on barbeque chicken recipes and cook up some tasty delights.